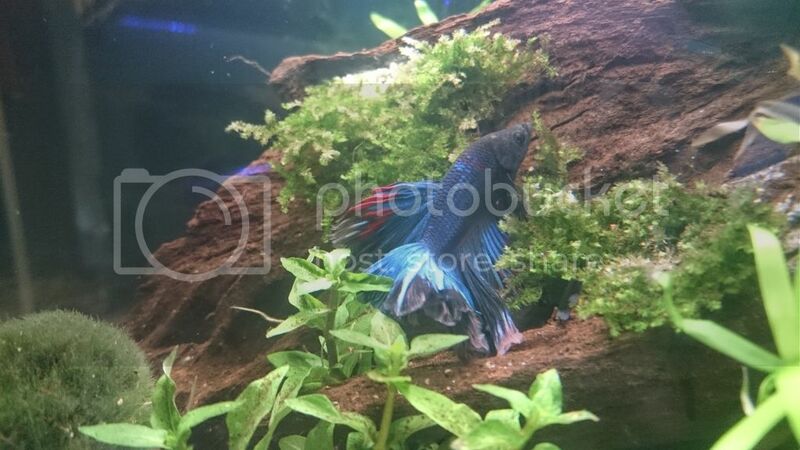 The Planted Tank Forum > General Planted Tank Forums > Photography > Show off your Betta Fish! 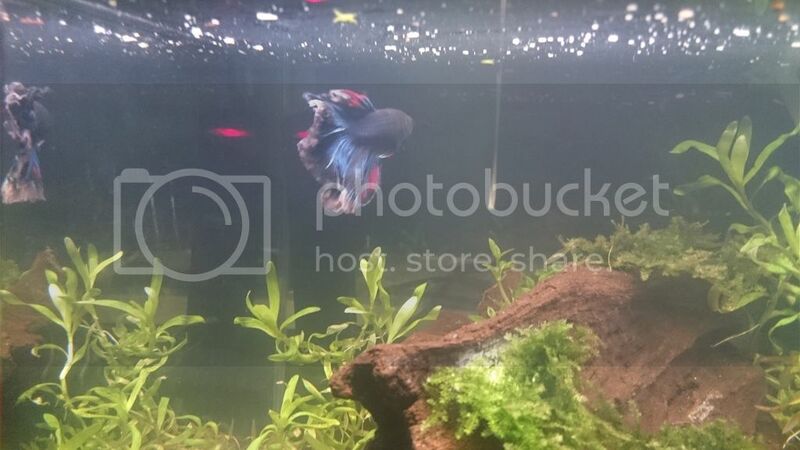 Show off your Betta Fish! I can't believe no one has made this thread yet! 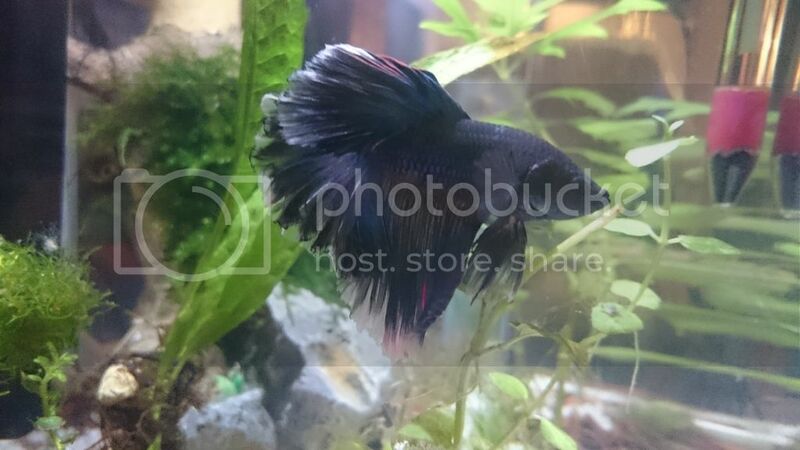 I'd love to see some of the forum's bettas! Here are my two (in seperate tanks obviously). One is a female koi Betta, named Dot. The picture is before this, but she just had a small bout with ammonia but seems to be recovering fine. My other Betta is a Male Bumblebee Betta named sulfur. I just got him recently and he's doing fine. Very very active little guy. Fisherking, ambe, ambe and 5 others like this. 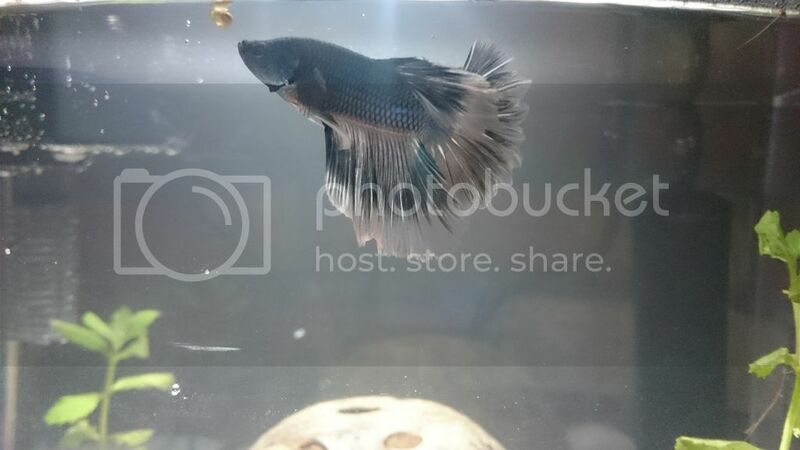 I have Sterling, a classified silver halfmoon betta. He changes colour depending on the light that you catch him in! The pictures are posted from when I first got him, to what he looks like as of yesterday. 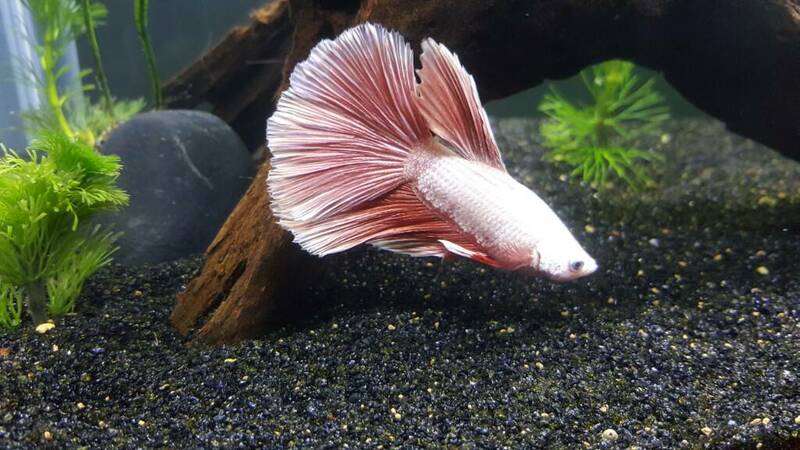 He has some red showing up on his fins and body now, so he is likely a marble silver butterfly halfmoon handsome...colour...fish. nel, nel, ambe and 5 others like this. May all your algae get eaten, and all your scales be slimy. 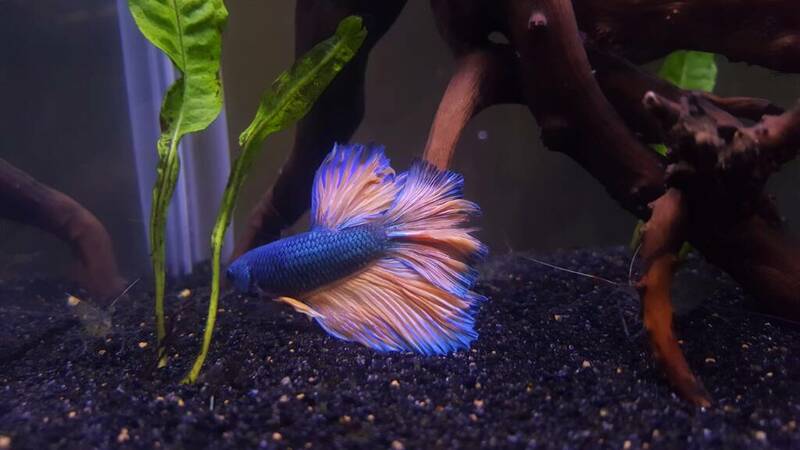 Sterling is a wonderful looking fish! puriance and puriance like this. 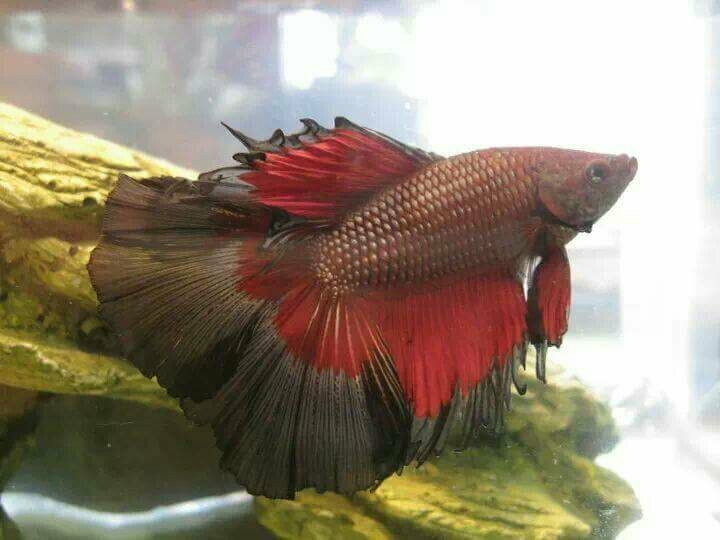 A betta fish is planned for my 3rd tank which I haven't got yet. Then I will stop (I hope). Lol go for it. I have 4 right now until my 20 gallon is done cycling. It's replacing my 10 gallon, so I can't take it down yet because the 20 isn't ready for fish. But bettas are the best! Thank you! I love the contrast of Sulfur myself. They come in such amazing colours. I even crushed up the pellets last night so they were essentially flakes, and he spat them right out. Old Halfmoon Double tail I had in 2011. Willcooper, Willcooper, WaterLife and 10 others like this. Hayleyxx, Hayleyxx, Suanough and 2 others like this. Wow! this one is such an unusual color! I love it. The black and red half-moon you had too was very neat as well. beautiful fish! sorry to hear they passed but it sounds like you gave them a happy life full of food and hiding places! Pastelito09, Pastelito09, Suanough and 1 others like this. Couldn't get a picture fast enough, but here's sulfur right after being a dork and squeezing himself through that tiny shrimp shelter! kyle3, kyle3, WaterLife and 5 others like this. 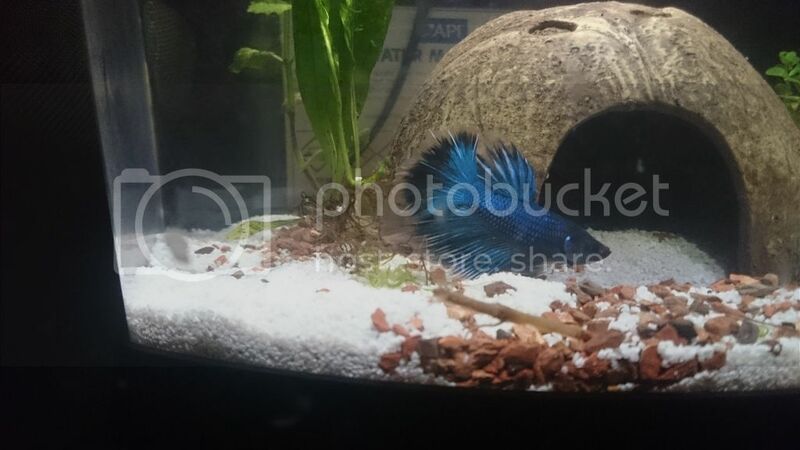 What kind of bettas are these? both are beautiful!